The event was well attended; hundreds of foodies seeking the latest sensational flavors of Philly’s hottest restaurants. Food and beer lovers stood in long food lines and mingled as they noshed on the various food offerings—snacks, hors d’oeuvres, entrees, desserts—and sampled alcoholic and non-alcoholic beverages alike. There was live entertainment for our pleasure, too; a DJ, live band and even a photo booth compliments of Photobot 3000. We didn’t get to try everything, but there were certainly some stand-outs: succulent triple meat on a stick Brazilian-style by Chima, a spicy curried pork dish by Fire & Ice Restaurant, well-seasoned wurst by BrÜ Craft & Wurst, and zesty Fire Roasted Chili by Sum Pig Food Truck. All of the brews we tried were great; we especially enjoyed the selections from Yards Brewing Company and Triumph Brewing Company. Muir Glen furnished the Fire Roasted Chili recipe that uses Muir Glen Organic Fire Roasted Tomatoes with Green Chiles so we could try it at home. So excited to make this for ourselves at home, we embarked on procuring all of the ingredients and got to work on this tonight. 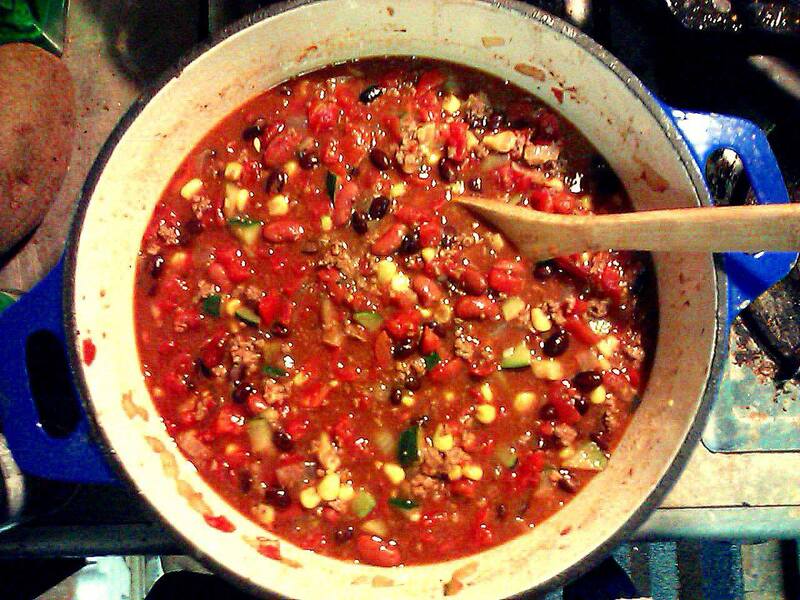 Here’s our version simmering away in a dutch oven sans the cilantro and garnish. We decided to add about 1 lb. of ground beef which the recipe doesn’t call for. Feel free to add your preferred meat or make it vegetarian style. The finished product: a close facsimile of what we had at Wednesday’s event. 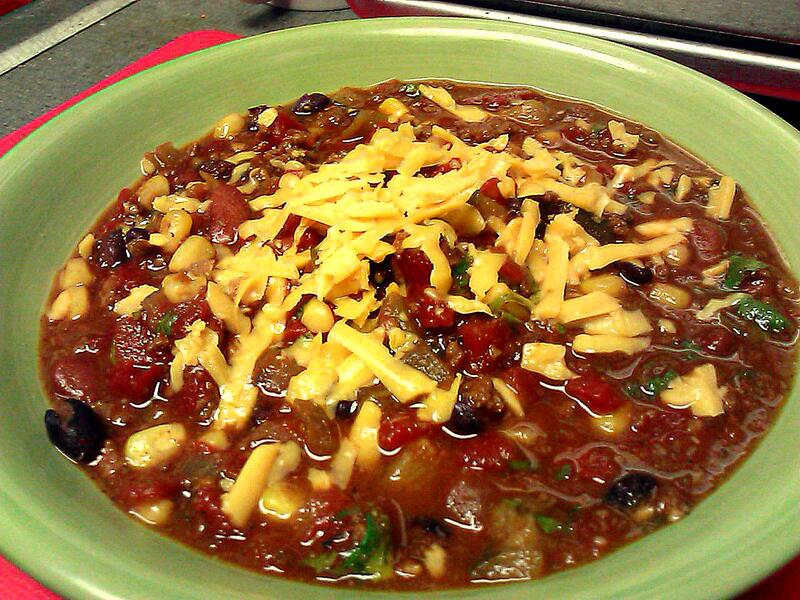 Very tasty and we recommend trying this recipe at home with your own modifications. Kudos to Philly Weekly, the restaurants, the breweries, and all of the sponsors for an incredible food-and-drink lovers event. Special thanks to Muir Glen Organic for supplying the tickets to attend so we could review it. Looking forward to next year! 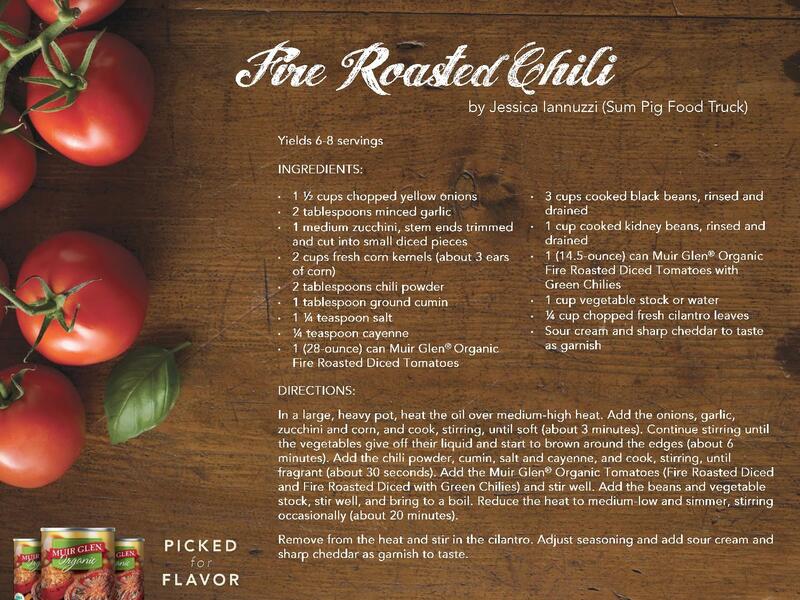 Tags: fire roasted chili, Muir Glen Organic Tomatoes, Sum Pig Food Truck. Bookmark the permalink. Previous post ← White + Wong Bakery, Oh So Right!